In three years time, desktops will be irrelevant. Bam, game over. We’ll be working our GIS magic on Androids and iPhones. I know, I know… We’ve heard this all before from Messrs. McNealy, Ellison, but now that Google is saying it (again?) we’d be get our act together or we’ll be irrelevant. Heck old Larry bought himself a trophy on the backs of those making desktop irrelevant. OK, so what does this talk really mean. We all know damn well we’ll be using our desktops to perform GIS analysis for years to come. Consuming data is what Google is talking about. 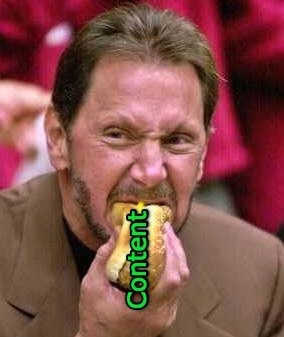 Unlike Sun or Oracle, isn’t focused on content creation, but enabling people to discover and use it. The operative word is mining for data. Google is talking about the world (who most of the time is searching for information on their mobile devices) performing a search and then visualizing that information. 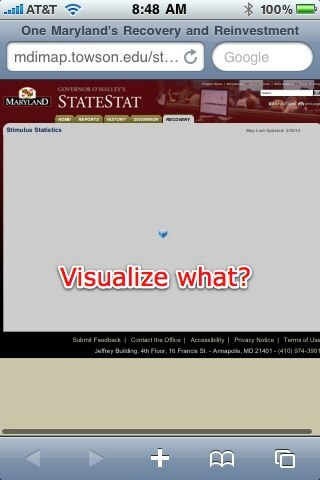 Yep, you are thinking what I’m thinking, that is GIS in a nutshell, visualizing information. Content creation will still be performed on desktops around the world, but it will remain a niche marketplace. The “magic” we’ve been taking about will happen on mobile clients. So right, ESRI is “cloud ready”. Everyone is either developing a cloud plan of action or executing it. We want to host our data with providers who scale as the need arises. We want to pay monthly (or hourly) for these services and not have those annoying maintenance agreements. But wait, where are we down Google’s path of mobile nirvana? We’ve got some efforts into web visualization from Geocommons (who is probably at the forefront of web browser vizualization), but alas their client is flash based so it isn’t really designed for mobile apps. You can bet your last Amazon gift certificate that they’ve been working damn hard on one. ESRI has also moved into this space with two feed. Their Map a Map service is right up that Geocommons alley. I keep waiting for the the announcement that they’ll link Make a Map to their ArcGIS Online service and bam, ESRI users have a way to visualize their data online. But like Geocommons, their client is Flash (see a trend here) and isn’t usable on most mobile clients. Change is coming though. We’ll see their effort at the ESRI Developer Summit realized with their ArcGIS for iPhone API. Right to the front of the line goes ESRI with consuming geo-content on mobile devices. Of course there are hundreds of others competing in this space. Cloudmade (I think this month they are mobile), SimpleGeo, Twitter (with their GeoAPI), and countless others. Yea so go about your business. Desktop Geo isn’t going anywhere. But clearly if you don’t provide mobile versions of your web apps you are going to be as irrelevant as every stupid MapGuide 6.5 Active X junk mapping site out there. All yawls standardizing on ESRI’s Flex API better be planning because Google is spot on, we’ll be visiting your website working with your data on our mobile devices. Good data not accessible on mobile is going to be devalued completely.